The recent floods hitting Kerala also brought a deluge of divisiveness and communal spite. However, Kerala's people withstood both these angry tides. 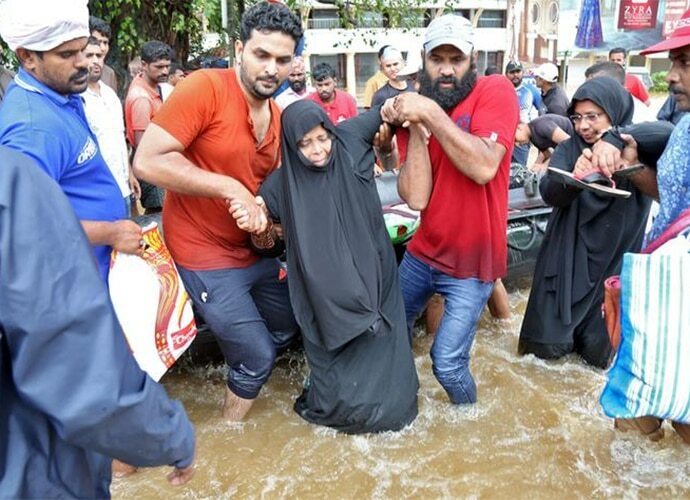 One of the most heartening developments in the aftermath of the devastating floods in Kerala has been the display of a spontaneous volunteering spirit across the state. Even more heartening was to see people outside the state displaying solidarity and empathy with us and chipping in with their contributions. In fact, I was pleasantly surprised by the number of calls I received from long-lost friends, enquiring about my folks back home. But, for some people, even such human tragedies just bring out the worst in them. Take, for instance, the reaction of many Hindutva-affiliated people as the tragedy unfolded. They used the opportunity to spew venom against the state and its people. 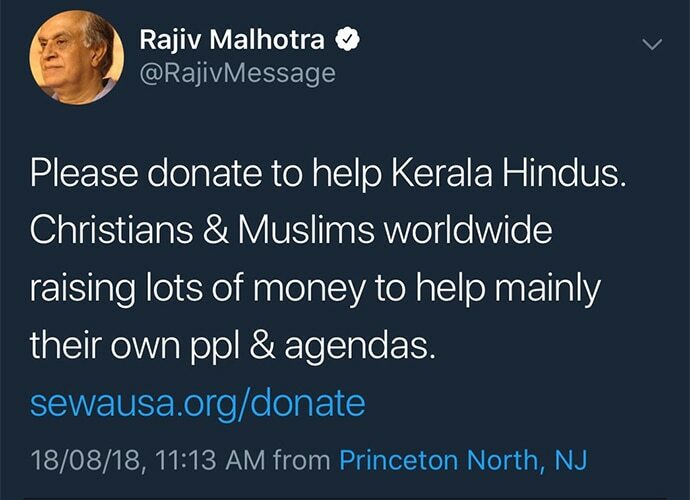 From leading right-wing luminaries like the Rashtriya Swayam Sevak Sangh (RSS) ideologue S Gurumurthy, who has now been inducted onto the Reserve Bank of India (RBI) board, to Indian-American author Rajiv Malhotra, and the regular nameless, faceless “trolls”, many champions of Hindutva in cyber space couldn’t resist peddling their communal agenda. While some people tried to link the tragedy with the issue of women’s entry into the Sabarimala temple (the Supreme Court has reserved judgement), others unleashed a vicious campaign to try and discourage people from contributing to the Chief Minister’s Disaster Relief Fund. It would be a tough ask to get into their psyche and explore their reasons for spreading hate during such calamitous times. Why do such tragedies trigger the worst in some people? Are they not equipped with empathy, kindness and warmth, like other human beings? Or does their hatred for the “other” overpower all their humaneness? It is widely accepted that racist and communal behaviour stems from two basic emotions — fear and hate. In this case, hatred seems to overpower all other faculties. The impunity and the anonymity social media platforms afford make it easy for these “trolls” to channelise their hate. In Kerala’s case, the state is unique in the current socio-political trends prevailing in the country. While the BJP has been conquering state after state, Kerala remains a bastion of secular forces. Many people in the cow belt associate that with the presence of a higher percentage of minority groups in the state. 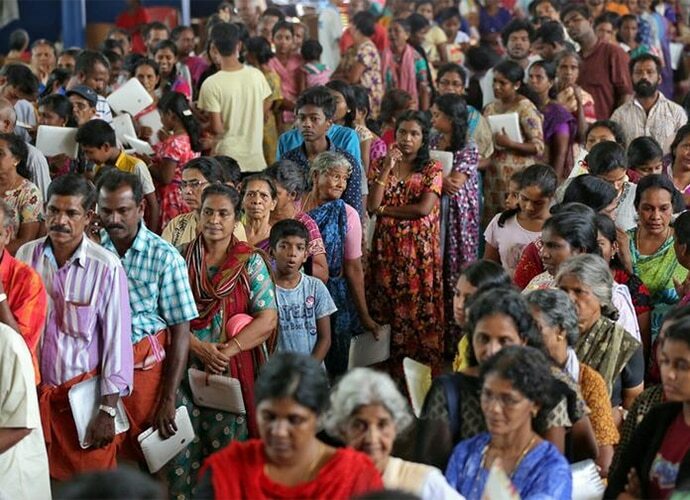 Kerala has roughly 55 per cent Hindus, 27 per cent Muslims and 18 per cent Christians. The hatemongers even assume Kerala’s love for beef has something to do with the presence of Muslims. They presume that the presence of “others” in such high numbers ''emasculates'' the Hindu majority. Even when they are confronted with evidence that Kerala’s Hindus enjoy their beef and porotta, they would choose not to accept it. For many people outside the state, it’s tough to relate to the amity prevailing in the state. Beyond mere symbolism, Kerala’s people find it easy to be accommodative and liberal. People don’t find it necessary to flaunt their religious identity for one-upmanship. In fact, many people find such behaviour deeply embarrassing and prefer to keep religion a private affair. Whether it’s Hindus, Muslims or Christians, their sense of identity as Malayali overpowers their religious affiliations. Their cultural intermingling through generations has only enriched each other. The emergence of a strong civil society, through generations of cultural and social interactions, has prevented fringe elements from rearing their heads. But such cosmopolitanism is lost on the bigots on social media. Kerala is more or less an egalitarian society today. It hasn’t always been so. The reformation movement in the late nineteenth and early twentieth century, championed by the likes of Narayana Guru, Sahodaran Ayyappan, Chattambi Swamikal, VT Bhattathirippadu, Vakkam Moulavi et al, is primarily responsible for this. This was long before the Communist movement took root in the state in the late 1930s. The human development indices of Kerala are at par with many European countries today. The ‘Kerala model’ of development, underpinned by education, health and robust public services, has become a template for other states today. The saffron brigade also seems to grudge Kerala the remittances they receive from ‘Gulf’ countries. It is another matter that many of the techies who infest the Twitterverse would jump at the opportunity to go abroad and make a living. It must be a mixture of envy and hate that guides their actions and propaganda. What about the hate-mongers hailing from Kerala though? How do you account for them? While many of them did keep their differences aside in the wake of the floods, it was distressing to see some aiding and abetting the people peddling fake propaganda about the state on social media platforms. This reminds me of a conversation I had with a born-again BJP supporter in Kochi recently. He told me he was “disillusioned” with the LDF-UDF alliances coming to power alternately in Kerala every five years. Kerala hadn’t developed industries, attracted private capital or built a road network like Gujarat, he reasoned. For a near-urban state like Kerala, with a high density of population, it wouldn’t be a good thing to have polluting industries, I countered. And even the Communists have set aside their ideology when it comes to private capital. Of course, having good roads would be ideal. But the relatively good air quality and greenery have to be preserved. That is when the conversation veered to communal issues. 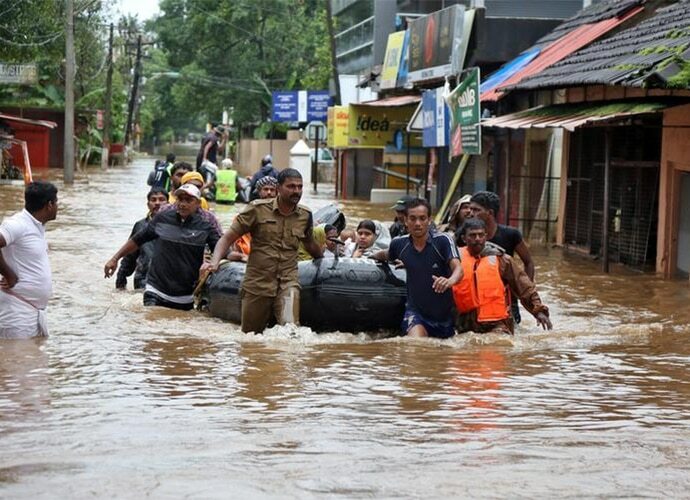 I believe it is bigotry, and bigotry alone, that motivates such Keralites to run down their home state, especially in the face of a natural disaster. As for the saffron brigade on Twitter and other social media platforms using this opportunity to relay hate, there is no antidote against such sub-human manifestations. Of course, fake news and propaganda need to be countered lest they get repeated a zillion times to become half-truths. But just as we witnessed people across the spectrum setting their differences aside to shut the trolls down in this instance, one can only hope to see people rally together to spread love when confronted with hatred.